Your responds to the investigation on the Dr. Oz HCG Diet Show. The television program, which aired on February 22nd, 2011, did an in-depth investigation on the HCG diet. Many people came on the show that had taken HCG diet drops and had lost 1-2 pounds per day and claimed to have changed their lives. Since the show aired, Internet searches for HCG drops and HCG information has nearly doubled. Dr. Oz stated on the show that safety is a concern. Customers interested in the HCG diet need to be aware where their HCG is coming from. Your HCG informed us that their HCG is manufactured in the United States in an FDA monitored laboratory and meets Good Manufacturing Practice (GMP) standards. 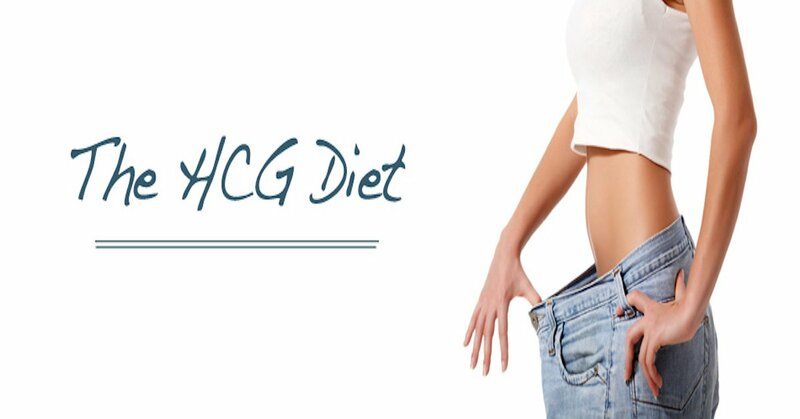 Can you lose a lot of weight on the hCG diet? From Dr. Oz: Yes. If you don’t eat, you’ll lose weight. Skipping meals and extreme restriction of food has been used by dieters for decades to try to lose weight. If you stick to a diet of only 500 calories a day, it’s possible to lose 5 or more pounds a week. From Your HCG: HCG causes your hypothalamus to mobilize the fat out of the fat storage locations so that it’s available for use. While you are only consuming 500 calories, your hypothalamus is continually releasing the fat stored in your body. Because of this, your body is actually operating on thousands of calories a day. This is the reason HCG dieters lose 1-2 pounds of fat or more per day. Dr. Oz HCG Diet Question: If you lose weight fast, then why don’t doctors recommend it? From Dr. Oz: You don’t keep the weight off. Decades of research have demonstrated that if you diet by eating only 500 calories a day, you regain a lot of weight after the diet ends. It turns out that these crash diets lead to no more weight loss after one year than if you modestly reduce calories and increase exercise. From Your HCG: After the HCG Diet, you will find your appetite has decreased, your eating behavior will be dramatically altered and your body will, of course, have changed. This is the perfect opportunity to adopt that healthy lifestyle to maintain your weight. You will find a minimum amount of exercise will be sufficient for maintaining a very healthy body – from yoga, to 15 minute cardio a day, or whatever you enjoy, that keeps your heart moving. With your hypothalamus reset, your metabolism will be different and you will be able to eat moderately without feeling the need to overeat. Amongst the people who have tried this program, 75 to 90% have had hardly any or no difficulty maintaining their new, ideal weight. From Dr. Oz: HCG is also sold in stores and on the Internet as drops. Since injecting over a hundred international units of HCG is not proven to work for weight loss, drops which barely contain any HCG do not work. From Your HCG: The HCG we sell is homeopathic. The way the homeopathic HCG is produced (in a nutshell) is by taking small amounts of the original strength HCG and making it into a sublingual mixture which is administered under the tongue. The homeopathic version is then taken 6 times a day to keep the amount of HCG in your body constant. We have many clients who have tried both versions, and report no differences between the two excluding the price. Patients report the same results from both forms of HCG. The difference is that the HCG injections generally costs $600 plus for a 5 week program and our product is MUCH less! From Dr. Oz: No. The hormone HCG has never been approved to be in any product sold directly to consumers. The leader of the FDA’s Internet and Fraud Team has said all such products are illegal. From Your HCG: Congress passed a law in 1938 declaring that ALL homeopathic remedies are to be regulated by the FDA in the same manner as nonprescription, over-the-counter (OTC) drugs, which means that they can be purchased without a physician’s prescription. We hope this clarifies statements mentioned on the Dr. Oz HCG Diet show.